What we are about to tell is a story of success. Out of its partnership with Red Hat, Extra RED was born from being a division of Extra and made up of a team of Open Source tech experts. When I arrived in Extra seven years ago tasked with going into the public sector market, I found a company that developed software mainly with Java and replied on a talented team to create web applications and manage different but select Open Source platforms . In the spring of 2011 came a great opportunity. The Careggi hospital in Florence invited to tender for managing application integration using an Open Source Enterprise Service Bus (ESB), then known as Apache Service Mix. 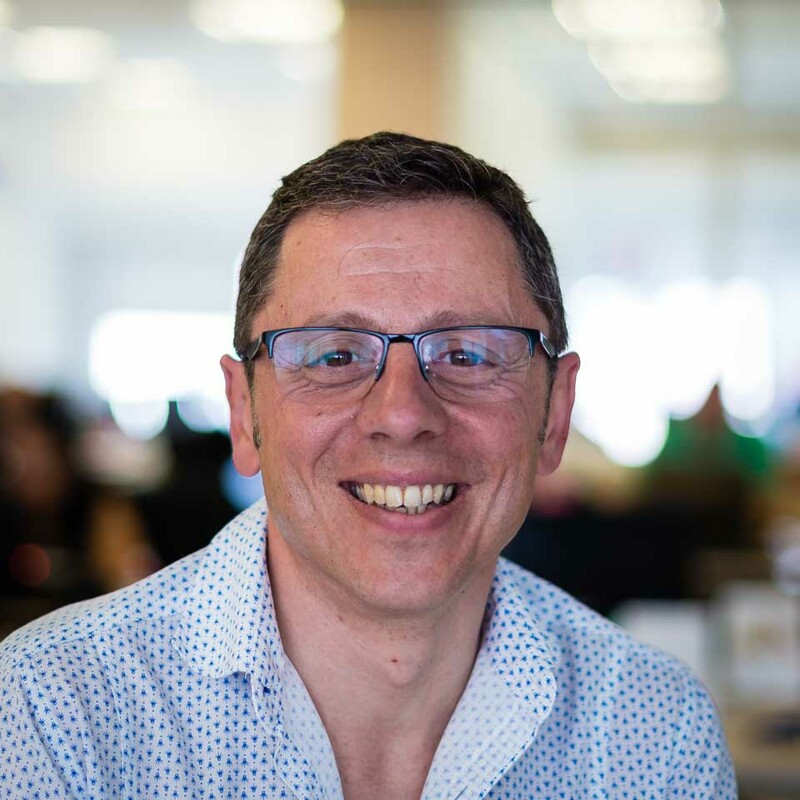 After being closed in a room for two weeks we were able to come up with a technical offer of great value that allowed us secure a strategic tender for five years valued at half a million Euros. After being awarded the tender and developing the first integrations in healthcare, we hit a complicated phase: on one hand, the team at Extra became more experienced and passionate about system integration, on the other they found it difficult to find enough technically challenging projects to apply themselves to. In Extra, we believe that luck exists, but it's nothing compared to being prepared to be at the right place, at the right time. 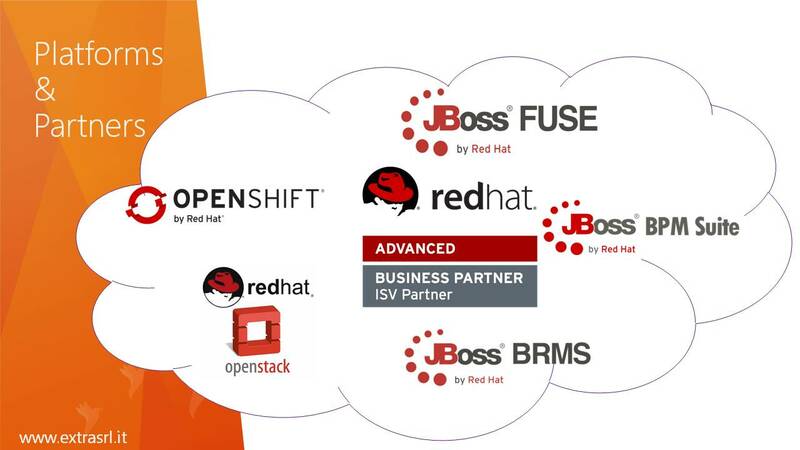 In July 2012, Red Hat acquired the ServiceMix community and Red Hat JBoss Fuse suite was founded. By December 11 in the same year, I got my first phone call with Red Hat Italy's Morena Maci and Giovanni Pirola who by then were very interested in our knowledge of the product that just became a central part of their middleware offering. After that momentous phone call, the partnership with Red Hat took off almost immediately with the direction clearly steered by Leonardo Paolino, the CEO and "soul" of Extra, who laid out the plan and give me the mission to develop the partnership as much as possible. There have been many collaborations with Red Hat in recent years, all based on the common goal of growth. It wasn't just about selling subscriptions then, but finding ways to collaborate both in finding prospects and customers, and working in projects. In fact, we worked on several projects, proof-of-concept (PoC) and training activities as partners. Within four years, Extra's staff worked on around 30 projects that brought us to 12 countries in Europe and even beyond, for a total of more than 800 days! The video below shows the main stages of our growth as a Red Hat partner. Featured here are the people who are now part of Extra RED. They now comprise of 20 people with four professionals certified in Red Hat products, a dozen Red Hat Trainers and 35 different accreditations on various technologies. There are several factors that contributed to this success story. First of all, the compatibility and quality of the people in Extra and Red Hat helped develop the partnership especially when setting down roles and mutual responsibilities. As for Red Hat, other than Giovanni and Morena who have always been present from the first phone call, I am pleased to mention Gianni Anguilletti, Antonio Leo, Alessandro Frigerio, Edoardo Schepis, Danilo Maggi, Roberto Garbelotto, Roberto Pezzoni, Susanne Pollit e Jerry Lowe, who have followed, encouraged and supported us and continue to do so. Another important element of success was to allow us to grow the skills of our team by participating in projects, master classes and training on products that have enriched the Red Hat product portfolio. Having transformed from Java developers to application integration experts, in the "RED" team of Extra, we now have the experience and knowledge in Cloud, IaaS (Infrastructure-as-a-Service), PaaS (Platform-as-a-Service) and DevOps as well as Business Process Management systems (BPM) and rule engines.